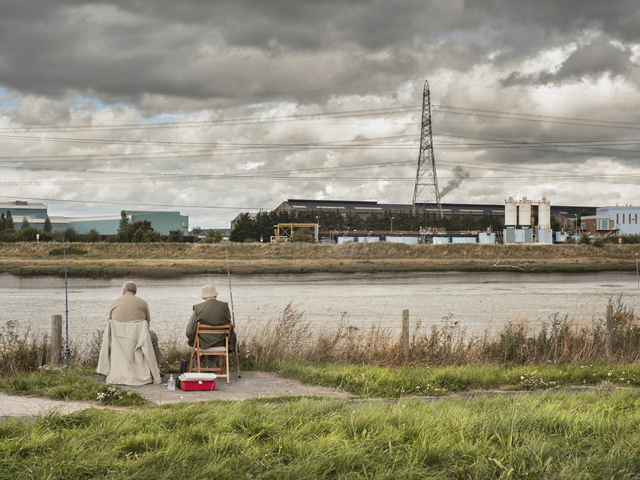 I am interested in ‘man altered landscapes’ and was drawn to the industrial area near the border of north wales coast. I was curious to see how the landscape dramatically changes from a rural, natural environment to a more industrial ‘man altered’ environment as you get closer to more urbanised areas. When you drive down the North Wales coast you can see the transition as you get closer to the more densely populated areas. Growing up in a small town in Wales, I was overwhelmed by the giant manufacturing plants and power stations, I found it frightening yet interesting. It has inspired me to try and project a conscious message in my work which is to illustrate the negative effect consumerism has on the environment and human society. I try to view the world, when photographing, like I am seeing everything with a completely fresh mind, like a more primitive, natural mind, trying to look at the bigger picture, trying to piece everything together visually and mentally, without the haze of pre-determined, manufactured beliefs and ideas of existence.